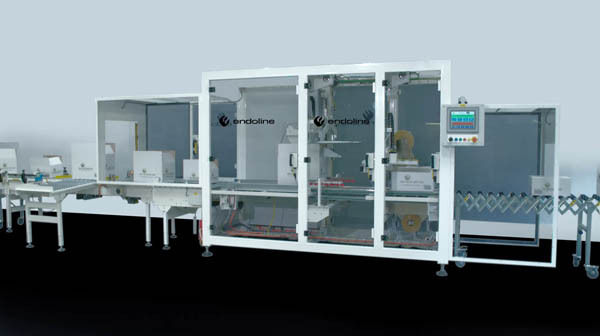 Endoline design and manufacture a range of high specification random case sealers to increase the productivity and efficiency of any case sealing operation. The random range has both semi automatic and fully automatic machines available and they seal with self-adhesive tape or hot melt glue. The random range of machines requires no operators assistance for case size changes. Semi automatic random systems require the operator to close the top case flaps and manually feed into the machine. The case sealer will automatically adjust its settings to suit that size case and will seal on the top and bottom with 38mm, 50mm or 75mm wide self-adhesive tape. Different size cases can be sealed in any random order. 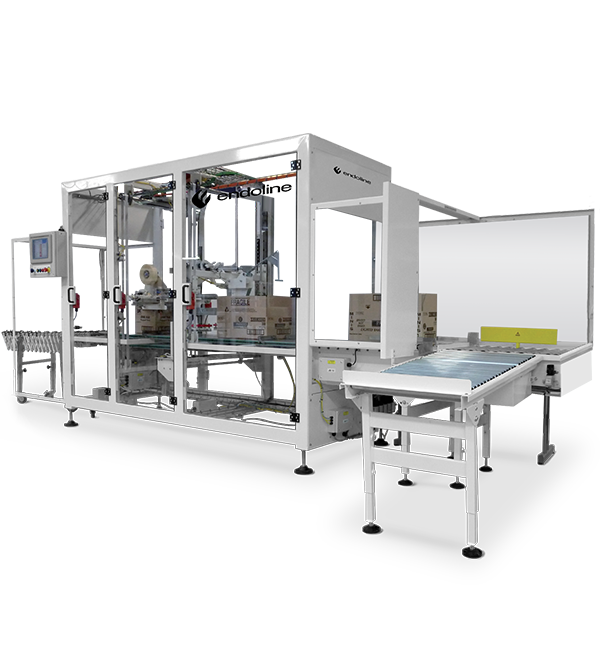 Each machine incorporates unique performance-enhancing design features, and are ideal for manufacturers who run a range of different size cases at any time or who wish to integrate a number of packing lines into a single machine to utilise space. Fully automatic random systems will automatically close the top case flaps and seal cases top and bottom with 38mm, 50mm or 75mm wide self-adhesive tape or hot melt glue. The case sealer will automatically adjust its settings to suit that size case either using sensors or barcode readers. Different size cases can be sealed in any random order and a range of slow, medium or fast models are available. Each machine incorporates unique performance-enhancing design features, and are ideal for manufacturers who run a range of different size cases at any time or who wish to integrate a number of packing lines into a single machine to utilise space.